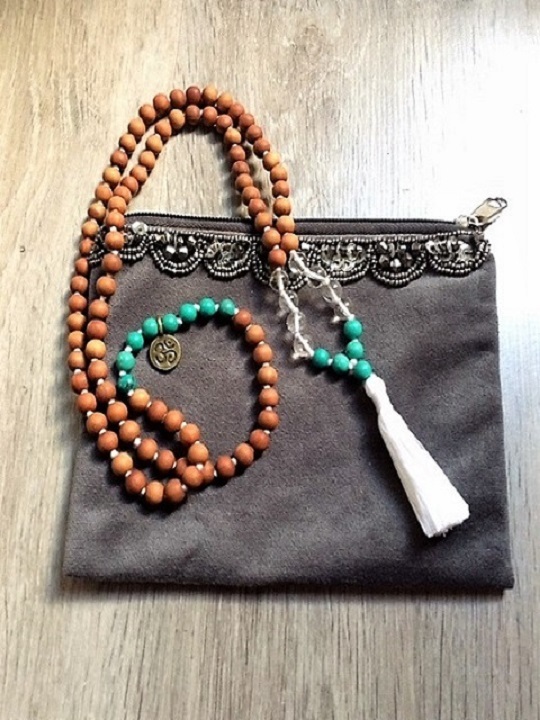 How to care for your mala? 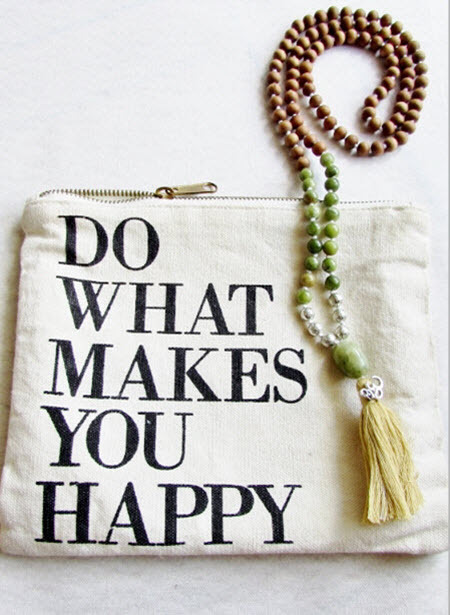 In traditional Hinduism and Buddhism, the mala is made of 108 beads of either wood, seeds, pearls or precious stones. Some mala’s have a 109th bead called the Meru bead. 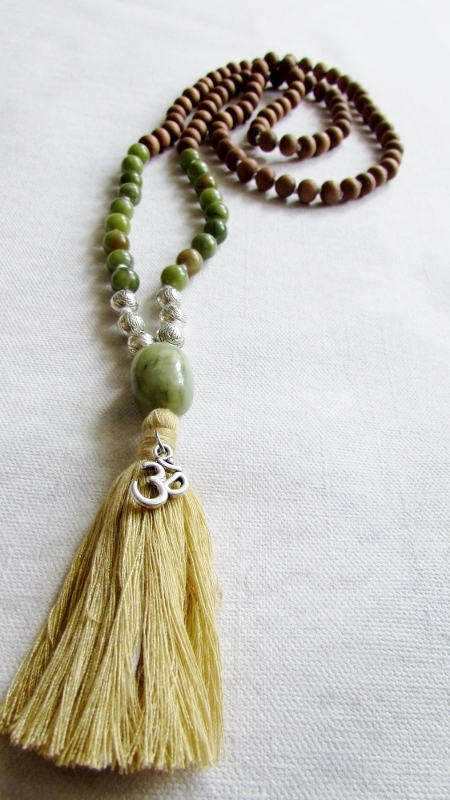 The Meru bead typically sits at the centre of the mala. (Meru is a mountain that would be the summit of the universe). 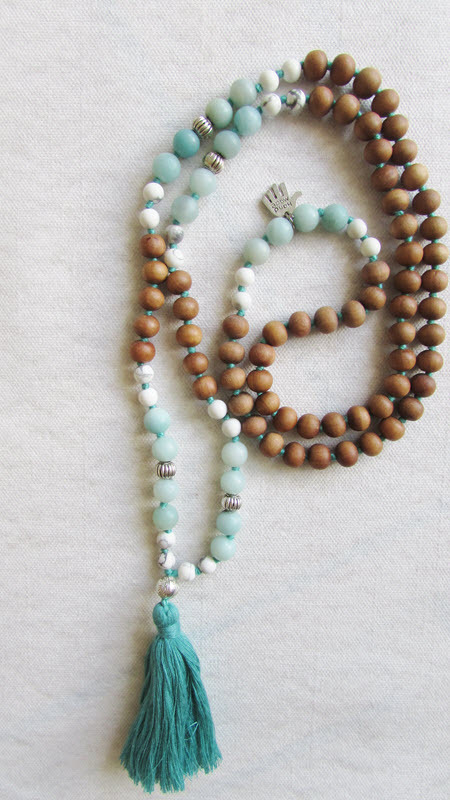 The mala helps us to count each mantra represented by a bead. The meru indicates the start of the 108 repetitions of the mantra. If the mantra is recited 108 times, it can be a fraction of this number. For example: half, third, quarter, twelfth one. 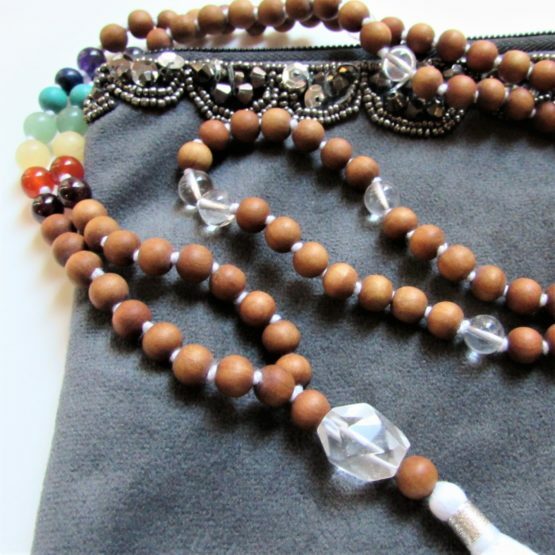 As a consequence certain mala have 54, 36, 27 or 9 beads. 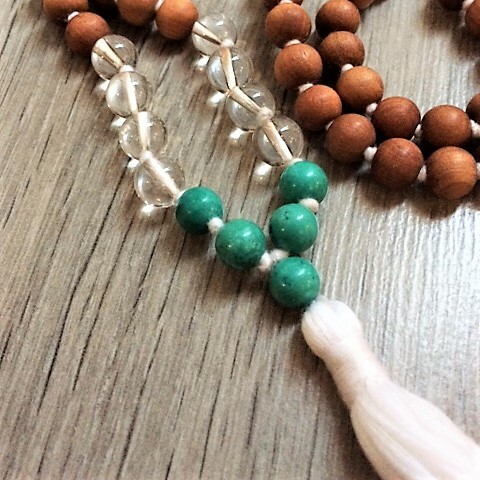 In the Buddhist tradition, the mala is hold in the left hand, using the right thumb to count each smaller bead, pulling it toward us as we recite the mantra. In the Hinduist tradition, the mala is hold in the right hand, as the left hand is considered as impure. For the meditation, it is important to travel around the mala with each breath, until once again we reach the maru bead. 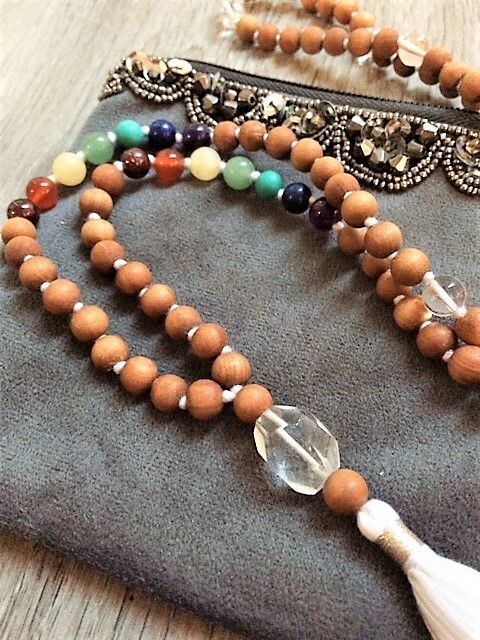 Nowadays, malas are used in different ways, not only spiritually. It can be used as an accessory or jewellery. Surya Namaskar: usually the practice of 108 sun salutations are made in the name of the 108 different gods and goddesses in traditional Hinduism. 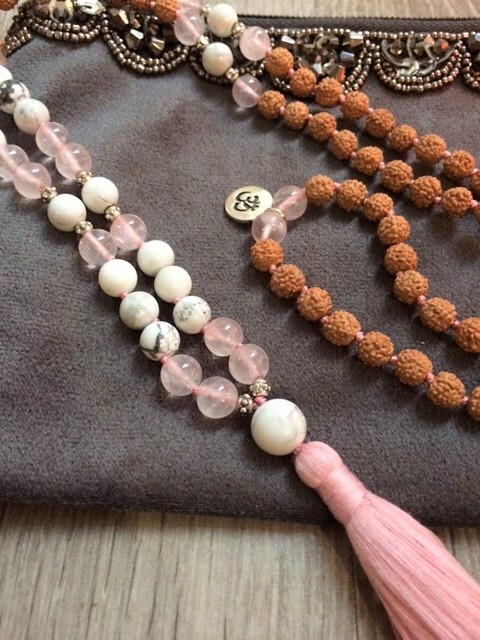 Physically, we advise to use the mala or to wear it regularly in order to shape the beads. Energetically, we can cleanse the mala by placing it in the sunlight or moonlight, burning incense or by sound vibration such as a singing bowl or chanting. It is important to avoid any contact with water. 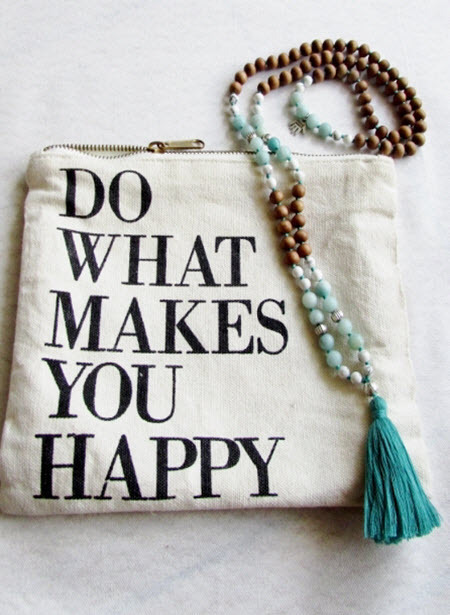 Anyhow, wearing a mala is a powerful symbol. Follow your intuition when choosing one ! A mantra is a word, sound, or phrase which may be used in meditation and repeated continually. In yoga, the best-known mantra is “Om”. A mantra has different meaning but the intentions and actions are always directed to fill the mind with positivity and to eliminate the negativity. “Lead me from the unreal to the Real.